A journey through the culture, living history and landscapes of Asia with Holland America. Man Mo Temple in Hong Kong’s New Territories is dedicated to the gods of literature and war. “Rain is an ideal time to go to the hot springs,” says the guide as she leads our group clad in shower caps and bathing suits across a walkway suspended above thermal pools filled with bubbling volcanic waters. We’re at Tien Lai Hot Springs high in the peaks of Zhuzhi Shan, a mountain range in Yangmingshan National Park, located north of Taipei, Taiwan. While soaking in the therapeutic alkaline waters is reason enough to visit, enjoying the views is also part of the wellness experience. The spa has been designed to offer meditative “gazes of beauty” from vantage points within the gardens. I’m participating in a shore excursion during Holland America’s 14-day Taiwan & Japan cruise, featuring eight ports of call in Hong Kong, Manila (Philippines), Kaohsiung and Keelung (Taiwan), Naha, Fukuoka, Nagasaki (Japan) and Shanghai (China). The cruise’s itinerary and onboard experiences have been designed to immerse travellers in Asia’s landscapes and living culture. 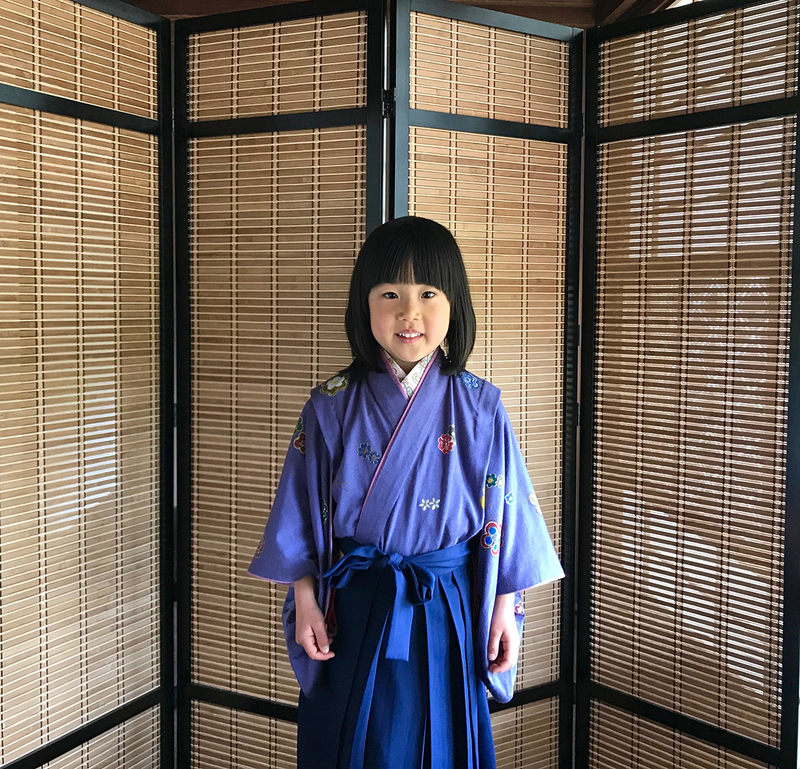 Young girl visiting the historic Tachibana Estate in Yanagawa. To make shore excursions as rewarding as possible for passengers, destination experts from Holland America’s Explorations Central (EXC™) offer personalized advice and travel tips regarding amenities, activity levels and options at ports and during tours. As we journey northward through the East China Sea, I quickly realize how daunting it would have been to attempt such an itinerary by air and ground transportation alone. Not only are logistics such as baggage, transfers and immigration clearances taken care of, but currency conversion is available at the ship’s guest services desk. A highlight for me is a full day in Fukuoka, Japan where we head into the countryside to the water city of Yanagawa. 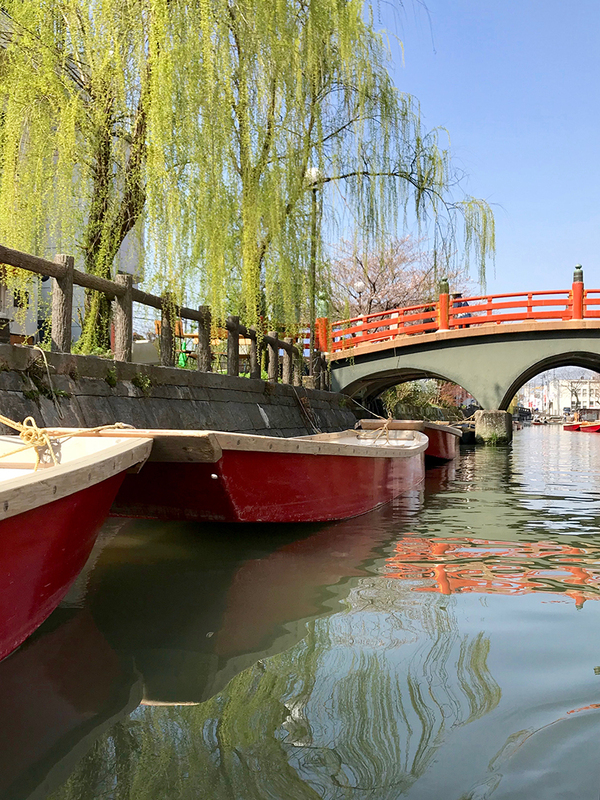 Gliding along the canals of the ancient castle town in gondolas, we pass beneath graceful willow and cherry blossom trees, our journey ending at the Tachibana Garden, a National Site of Scenic Beauty. Built by the Tachibana Clan’s first feudal lord in the Edo Period (1603-1867), the gardens feature floating islands surrounded by Japanese black pine trees, stone lanterns and wisteria. Within the Grand Hall, I meet a mother and her young daughter interested in the Yanagawa Dolls Festival Sagemon Meguri, an event honouring the girls of Japan. The celebration features beautiful Sagemon ornaments, handmade red and pink decorations displayed on dangling mobiles. “Each figure such as crane, rabbit and goldfish represents a wish for a girl’s brilliant future and longevity,” explains our guide. Another moving tour takes place in Nagasaki, Japan, where we begin at the Atomic Bomb Museum walking a circular path tracing the timeline from present day to 11:00 am on August 9, 1945, when the nuclear bomb unleashed a blast that killed 75,000 people and wounded 74,000 others. While the exhibits are heart wrenching, the museum promotes the hope for a peaceful world free of nuclear weapons. Within the adjacent Nagasaki Peace Park, our guide introduces us to one of the survivors of the atomic bomb. Now in his eighties, Inosuke Hayasaki was just 14 years old when the blast hit, scorching his skin, destroying buildings around him and killing his coworkers. Today, he shares his memories beside a fountain where visitors can pour water from a bucket into a monument designed to soothe the souls of those who lost their lives. As add-ons or options to the organized tours, there are many opportunities for independent exploration. In Naha, Okinawa, home to Shuri Castle once the stronghold of the Ryukyu Kingdom that once ruled the islands between Japan and Taiwan, I spent the day exploring the lively restaurants and shops along Kokusai-dori street, browsing pottery workshops and visiting Zuisen Distillery where they produce awamori, a distilled rice spirit that dates to the 15th century. Explore the ancient canals of Yanagawa Japan on a shore excursion. Our days at sea are opportunities to rest up before the next port. Yet there’s no shortage of things to do. With capacity for 1432 guests, the MS Volendam is one of the fleet’s mid-sized ships which means it’s easy to get around onboard. I begin my mornings with tai chi classes or yoga and then head to the Explorers Lounge where I sip an espresso while browsing the lending library. Holland America’s partnership with BBC Earth offers nature-inspired films, guest lecturers and other educational resources. 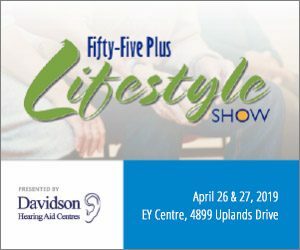 Afternoons, I choose from active options that include a tennis court, jogging and walking routes on the promenade decks, shuffleboard, two swimming pools, ping pong, and an ocean-view fitness centre featuring state-of-the-art cardio and weight lifting equipment. In a workshop at the Culinary Arts Center, I learn how to make Asian dumplings from a Holland America chef, trained by America’s Test Kitchen. Other culinary highlights include gala meals in the glamorous Rotterdam Dining Room where classic options such as New York strip loin steak are available alongside new-to-me tastes such as Asian-style Rotisserie Duck and Penang Red Curry Coconut Chicken. Staying healthy is made easy with convenient hand sanitizer dispensers and innovative automatic hand washing machines. Post-dinner entertainment takes place in a two-tiered theatre on Deck Four and includes live performances of concert piano, comedy, dance shows and more. Other evening activities include trivia games, big-screen movies, a casino and dancing to the latest hits. I wrap up the full days in my stateroom where a plush terry cloth bathrobe and nightly turndown service await. Located on the Dolphin Deck (Level One) with ocean view windows, it features a queen size bed with euro-top mattress, premium linens and non-allergenic pillows, a sofa and desk plus a spacious washroom with shower. Of special interest to travellers with mobility issues, the Volendam offers a selection of fully accessible rooms with features such as wider doors, single side approach to the bed, bathtub and roll-in shower. Elevators are available to access restaurants, recreational facilities and boarding ramps. 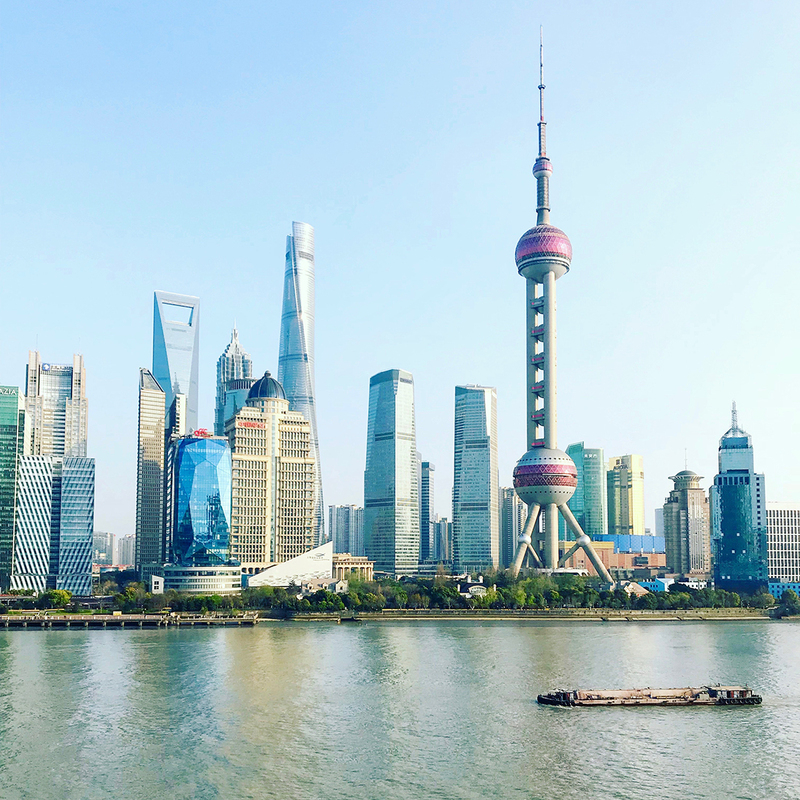 We wrap up our Far East cruise in Shanghai, where dazzling sights include the futuristic Pudong skyscrapers, the famed waterside boulevard The Bund, the koi-filled ponds of Yu Garden and the jade, bronze and ceramic treasures of the Shanghai Museum. 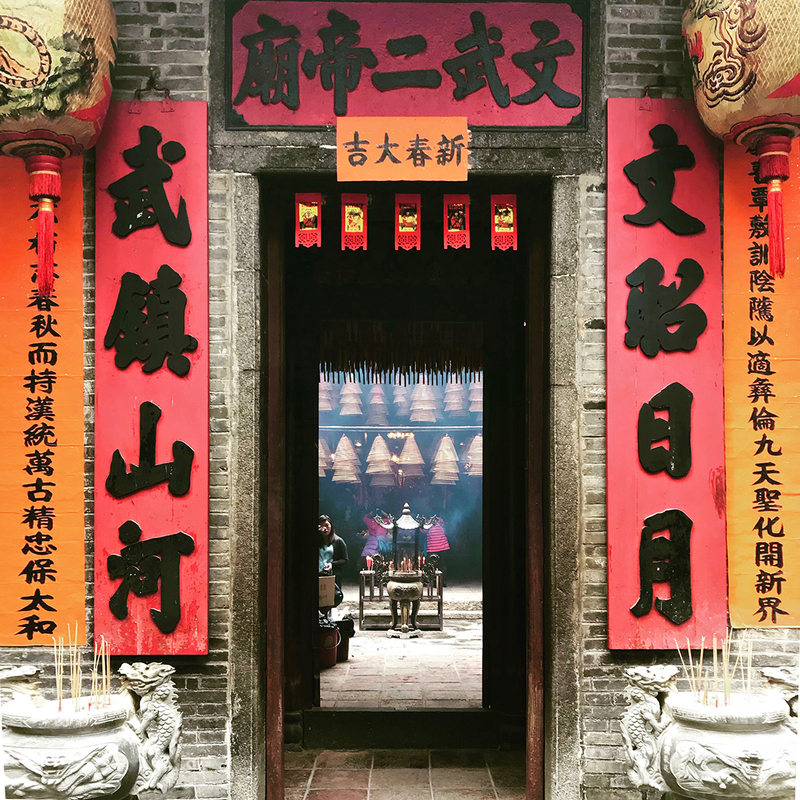 The mix of cosmopolitan present and rich past is a fitting conclusion to our 14-day odyssey from the ancient temples of Hong Kong to the modern skyline of Shanghai. Spectacular views of Shanghai’s Pudong District while at port with Holland America’s MS Volendam. Shore Excursions: Pay careful attention to the EXC Tours Guide as the tour descriptions provide important detail on distances required to walk, any strenuous activities, meals and wheelchair accessibility. There are options available for those looking for independent experiences as well as those who enjoy a slower pace. Booking can be done in advance, in person or on a mobile device. Weather: Weather conditions in Asia fluctuate greatly and can vary from hot and humid in the Philippines, to cool at high altitudes. Pack layers as well as sturdy shoes to navigate temple stairs in inclement weather. Michele Peterson is a Toronto-based travel journalist.